Short and enjoyable courses are starting in a local Islamic centre, a Buddhist centre, a church and a community association in Lambeth to find ways to a healthy mind and a healthy body. Two of them are especially for women. “Using a Health and Belief Grant from London Catalyst and Church Urban Fund, Faiths Together in Lambeth is supporting short courses on healthy eating, physical activity and mental wellbeing that are due to start soon. Jamyang Buddhist Centre, SE11 4NA. Thursdays from 31st October, 10.30am – 12.30pm. Details from jane@jamyang.co.uk and flyer. Loughborough Community Centre, SW9 7PD (a course for women). Thursdays from 24th October, 10.30am – 12.30pm. Details from carolestagg@hotmail.com or muslimsistersjamaat@gmail.com. If you’re in Lambeth, or would like to do something similar in your borough, please contact the organisers above or email Alan at ftil@hotmail.com. Three top events next week! We reflected on the London riots at our LBFN meeting last Wednesday – a wide range of voices, a great depth of understanding. 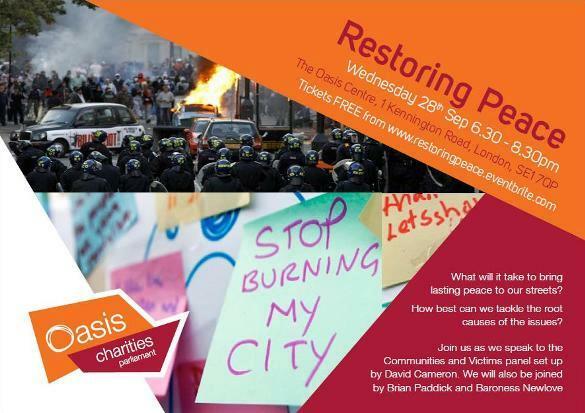 Restoring Peace at Oasis Charities Parliament is an opportunity to share your views with the Communities and Victims Panel at 6.30pm on Wednesday 28th September at The Oasis Centre, 1 Kennington Road, SE1 7QP. 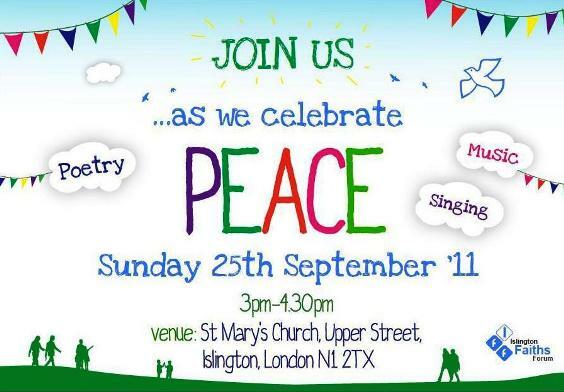 Islington Faiths Forum is holding a Peace Celebration this Sunday at 3.30pm at St Mary’s Church, Upper Street, N1 2TX. There will be poetry and singing – an event for all age-groups. 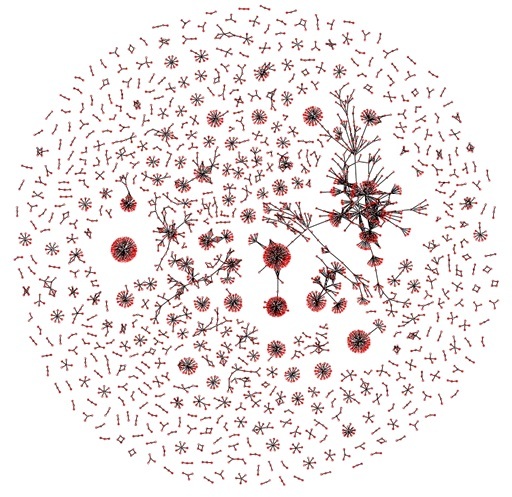 Interested in making public services better – especially for people who depend on them most? 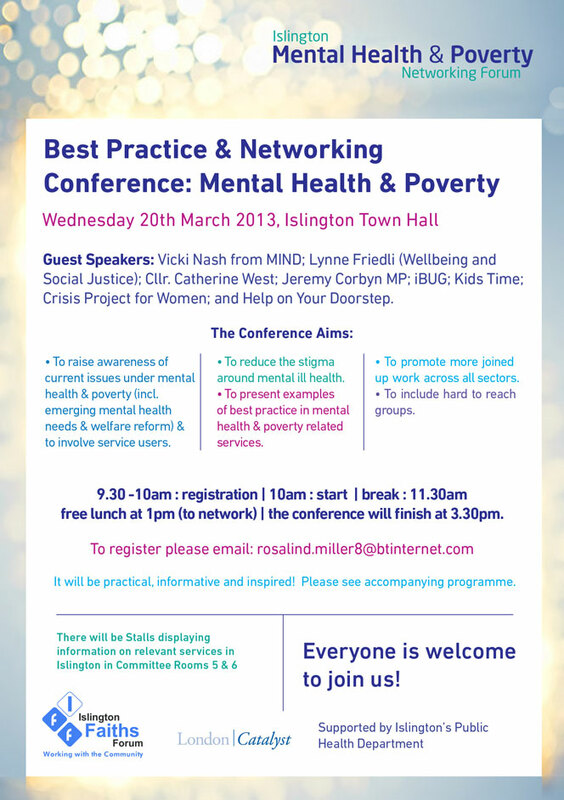 Wandsworth Community Empowerment Network is inviting everyone who is keen to see local faith groups get involved in co-production (and anyone who wants to find out what it is) to a major gathering. 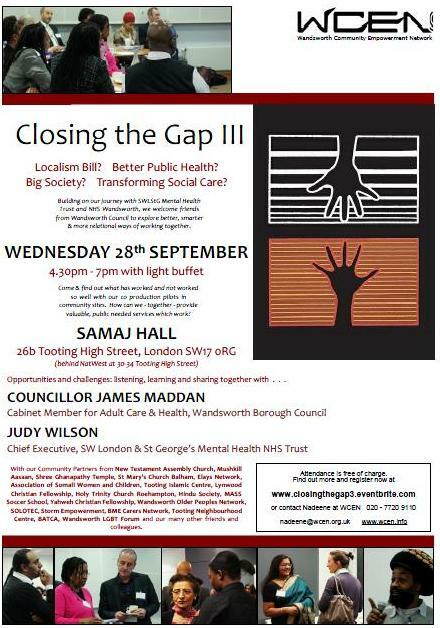 Closing the Gap III will take place at the Samaj Hall, 26b Tooting High Street, SW17 0RG on Wednesday 28th September at 4.30pm. Click on the links to find out more and/or register.